I have been designing and creating unique jewellery for over fourteen years. I enjoy working with a variety of materials including wood, silver, hemp, glass and gemstones. 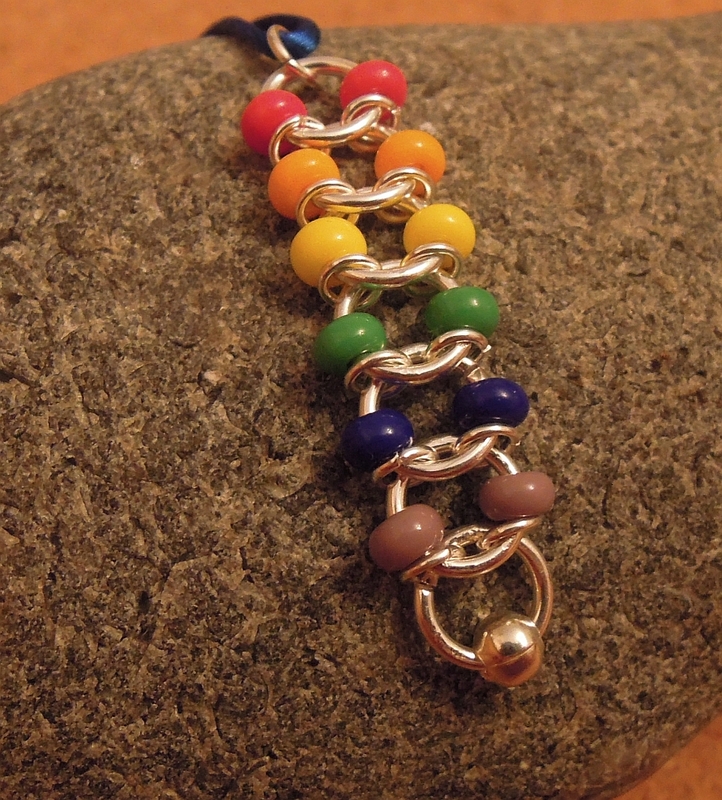 I have also designed a range of gay pride jewellery. Every design is exclusive to Elderberry Arts and the majority of my pieces are one off designs. When not one of a kind, my designs are created in very limited quantities. This means you can be sure you are purchasing something unusual and distinct. I occasionally offer my own designs for sale and am happy to accept custom orders and commissions. These can be based on a design of mine or on an idea of your own. I can work with you to bring your ideas to life and create a truly unique and personalised piece of jewellery. Please feel free to contact me if you have any queries. For all custom orders and commissions and deposit of half of the final cost is required up front. I am happy to work on custom orders. These can be based on an item I have designed or an idea you have personally. Any item made as a custom request will be unique and I will not reproduce it exactly as the design was personal to it’s owner. For all custom orders a 50% deposits is payable in advance. This deposit is non-refundable if you change your mind for any reason at any point in the design or creation process. If for any reason I cannot complete your design I will return this deposit in full. The remaining balance will become due on completion of the order. Please use the contact page to get in touch with any enquires and requests. The gallery below features a selection of my past jewellery designs and commissioned pieces.